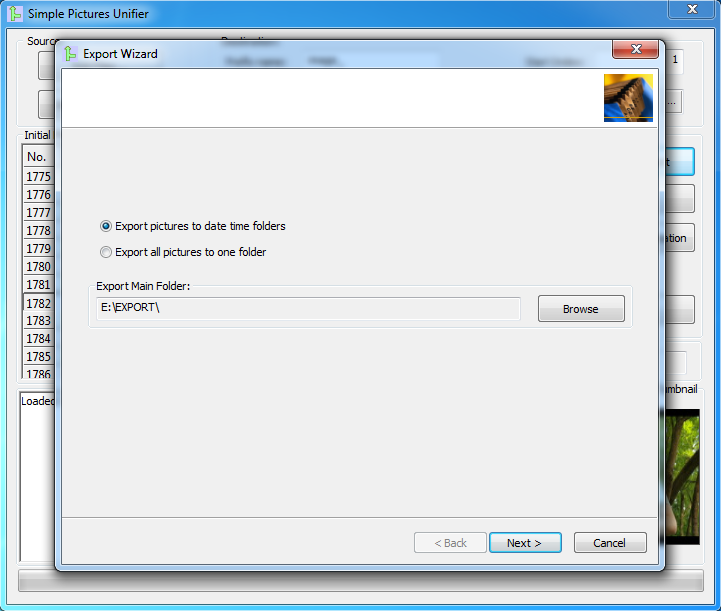 Simple Pictures Unifier 1.1 application is up! At the beginning of this year, I have launched an application that helps you to organize the pictures of your important moments. The application helps you especially if you have photos from different sources (different cameras of friends) and you want to have a fluent images story. From the moment I have launched the first release until now I made up to 12GB pictures (3200+ pictures of 10 MB) and honestly I never found time in order to organize the pictures. Always I said that I will complete my application and finally I found time to implement export by date time folders and so on. 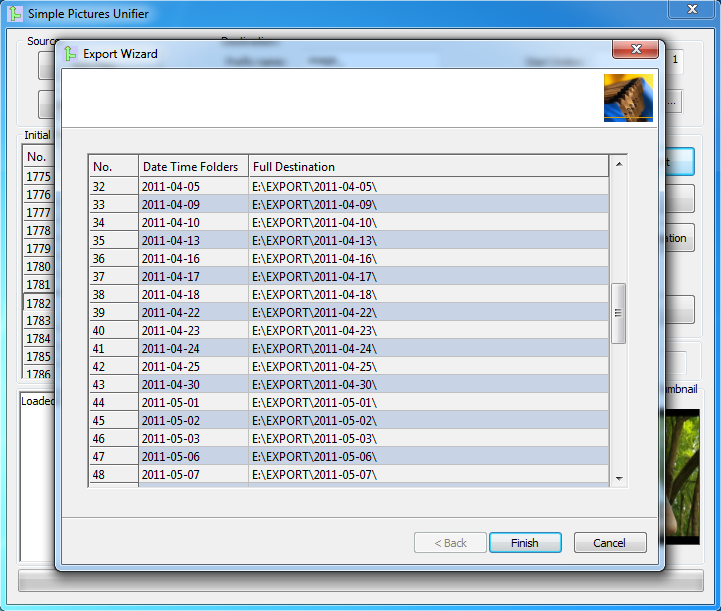 Simple Pictures Unifier 1.1 allows merging and exporting pictures in one folder or in date time folders. The application comes with a better user-friendly experience and few internal improvements. Selecting Finish button the pictures merging is realized and the files are copied to the destination folders. If the user wants to abort the export process it can just press Stop button or close the application with now damages. Feel free to add comments, suggestions or bugs reports. Any constructive feedback is sincerely appreciated. Have you just returned from vacation and you have a lot of pictures? You just downloaded your taken pictures and you got your friends pictures, too? Then, probably, the pictures are scattered, with a random order in your computer. Would you like seeing pictures from all sources in order of events happening? Please, feel free to add comments, suggestions or bugs reports to this application. Any constructive feedback is sincerely appreciated. Thanks you!